Valentino Rossi says his third-place finish in the Qatar MotoGP season opener has answered those who believe he is too old to sign a new two-year contract with Yamaha. Rossi, 39, signed a fresh contract ahead of the Losail weekend that will keep him racing until the end of 2020, by which time he will be 41 years old. After qualifying eighth, the seven-time premier class champion recovered to third in the race, finishing less than a second behind race winner Andrea Dovizioso and second-placed Marc Marquez. Rossi said the result proves he still has what it takes to cut it at the front of the MotoGP field, despite the increasing challenges of staying fit approaching his 40s. "Honestly, these things don't interest me anymore," said the Italian. "I was already over it 10 years ago. "But now when there is news like the renewal, it's right that there's someone who says I'm too old. The important thing, though, is what happens on track. I believe it, because I know I can go fast. "The biggest problem when you get older is your physical condition, but I know if I train hard, more than 10 years ago, I can be fast to the end. "I feel so many things when I ride the bike and often they are the right things, so if I put everything together I can stay in front." Rossi added that his podium was evidence that Yamaha had made a step forward after a troubled end to the 2017 season when Tech 3 rider Johann Zarco was regularly outpacing the factory riders. 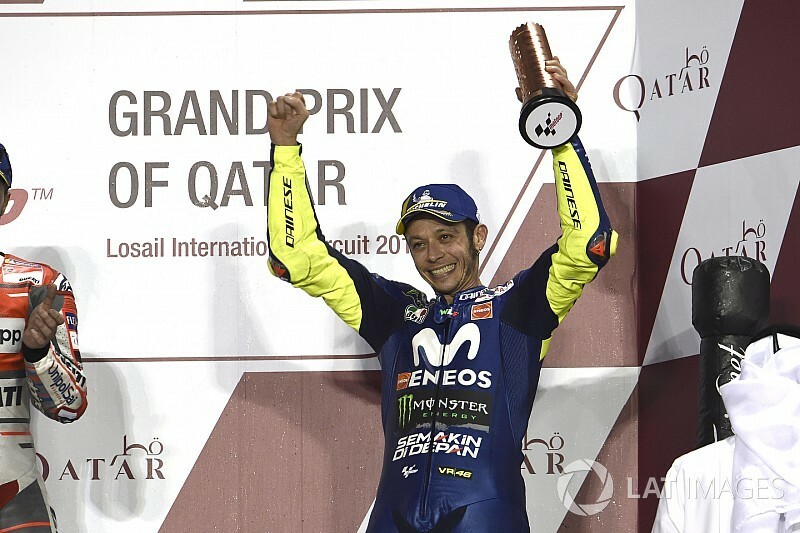 "We missed a little bit to fight for the win, but it was a good start to the championship," Rossi said. "Last year I got on the podium and I don't know how I did it. I expected it to be good this year. "Last year both Honda and Ducati were having more trouble, but from the middle of 2017 they were really strong, so I think we have made a step forward. "The first target this year is to not have races like Jerez and Barcelona last year where you go the whole weekend without understanding anything. "We are behind in certain areas, but we can always try to be more competitive."